Our magical journey dedicated to a number of camera-centered industries started with the new wave of Biometrics and continued with the impact of Drones on our lives. 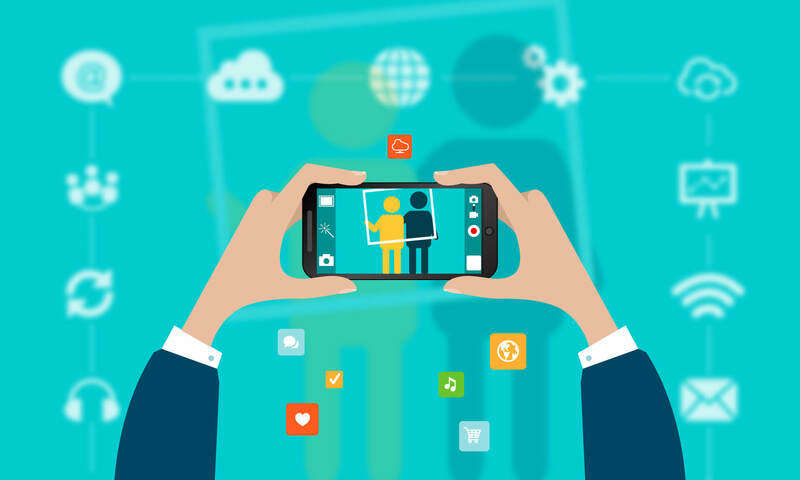 Now, we are going to see how smartphones became essential to our lives and more importantly, why is everybody, including us, investing in their cameras’ performance. As much as you’d love to divert your family’s attention to Polaroid cameras or even second-hand professional ones, they always talk about smartphones with badass cameras (unless they’re over 60 and you call them my parents). There’s a reason digital still cameras (DSC) disappeared when cam-phones came on stage and why some parents use them only for calling, baffled by the high price – they’re just phones, right? DSCs were all the rage for vacation pictures. They were small, slim and easy to handle. You didn’t need to learn manual controls for quick shots. Yet, they lacked a stable Internet connection to share pictures with friends and the world. This feature became crucial for users after Facebook became public in 2006 and the phone camera race began. Veteran cellphone makers were the first ones to feel the winds of change. Samsung, Nokia, Sony Ericsson understood they had to offer more and more in terms of megapixels, sensors and lenses if they wanted to stay relevant. The Cold War of phones began. People were intoxicated by phones’ new superpower – to share moments as they happened, instead of just freezing them in time. Year after year, manufacturers added new, better, extra components to their phones like an ever-growing Jenga tower. In three years, we went from a 0.11MP phone (the J-SH04 from Sharp) to a 640×480 pixels one, with flash, self-timer, digital zoom, adjustable white balance and Millenials’ favorite, filters. 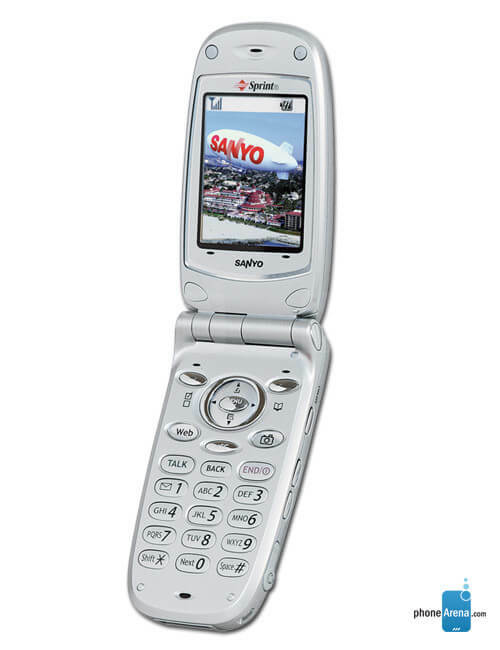 This one, the Sanyo SCP-5300, introduced three effects: sepia, B&W and negative colors. Burst mode, the one feature few of us uses at its potential today, was introduced by Sprint. These were simple accessories back then. The real challenge was launching phones with impressive megapixel count. Samsung and Nokia were convinced of that. The South Korean manufacturer gave the start with a 5MP cam-phone, only to be overshadowed by Nokia and its Carl Zeiss optics plus video recording ability. At the turn of the decade, LG and Sony Ericsson boasted 8MP and 16MP, respectively. 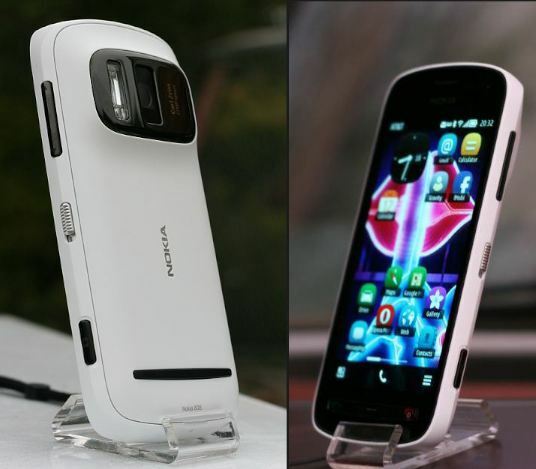 In 2012, they became a distant memory as Nokia announced the 808 PureView smartphone with a whooping 41MP! More seasoned phone users approached the news with reserved enthusiasm. They felt there was something missing to really make a cam-phone shine. Apple’s original iPhone was one proof of that. Launched in 2007, it featured a meek 2MP camera and still had the power to change the smartphone world forever. Despite the lack of focus, flash and video capabilities, people were waiting for days in front of the store to buy it. What was the explanation? How did Apple sell 1 million iPhones in 74 days from release? Looking back at that moment, the answer seems obvious: Apple’s product was the first one to solve a need, not just take a picture. Clearly, its multi-touch interface and revolutionary design (with accent on a big display) captivated the audience. Above all, it was iPhone’s positioning that convinced. Steve Jobs introduced it as “a revolutionary and magical product that is literally five years ahead of any other mobile phone”. In parallel, iPhone was referred to as the best of many worlds: “a widescreen iPod with touch controls, a revolutionary mobile phone, and a breakthrough internet device.” The device gave its users the chance to join online platforms and share pictures with their friends. Thanks to the rise of the camera phone and then, the smartphone empire, Facebook got its big break. Tech editors contributed to the general enthusiasm surrounding Apple with Engadget writing: “To date no one’s made a phone that does so much with so little”. Photos might have lacked megapixels, but they were easily shareable through Apple’s own web browser and could be tweaked with software (one way was the App Store). 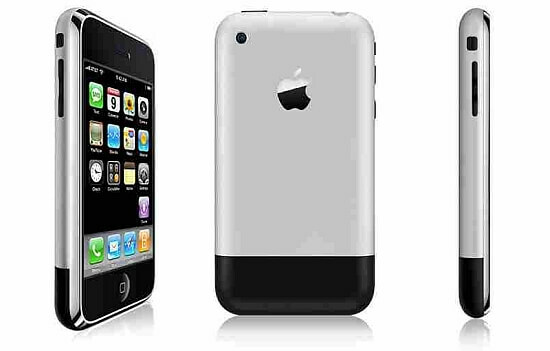 Apple made evident that hardware had to be complemented by software to pull off a great mobile device. The number of megapixels didn’t matter as much as people thought, but their individual sizes did. Why was that so? Plus, what role does software play in this hardware game? Read our next chapters to find out. * This article is written as part of an editorial series presented by FotoNation.